The Milwaukee Region is a natural magnet for business. It ranks fifth among cities nationwide in the number of corporate headquarters per capita. Affordable land and leasing costs, abundant fresh water, an educated workforce, low business costs and easy access to financing, technical assistance and efficient transportation have helped local businesses succeed and grow. MarketWatch has ranked Milwaukee in the top 20 out of 101 U.S. metro areas on its list of "best cities for business," outpacing cities such as Chicago, Atlanta, San Antonio, Los Angeles and Seattle. The Milwaukee Region is continuing its renaissance with a rapid building boom and new developments across the region. Business expansions, commercial and residential developments, an expanding infrastructure , and industry cluster accelerators are setting the stage for continued, sustainable growth in southeastern Wisconsin. Foxconn has started construction on the first building in its Wisconn Valley Science and Technology Park in Racine County, a $10 billion project expected to employ up to 13,000 employees. 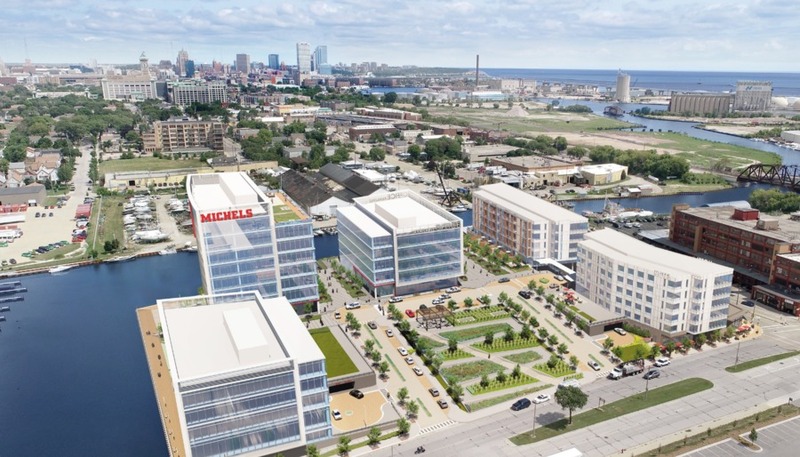 Komatsu Mining plans a $285 million headquarters and manufacturing campus in Milwaukee's Harbor District. 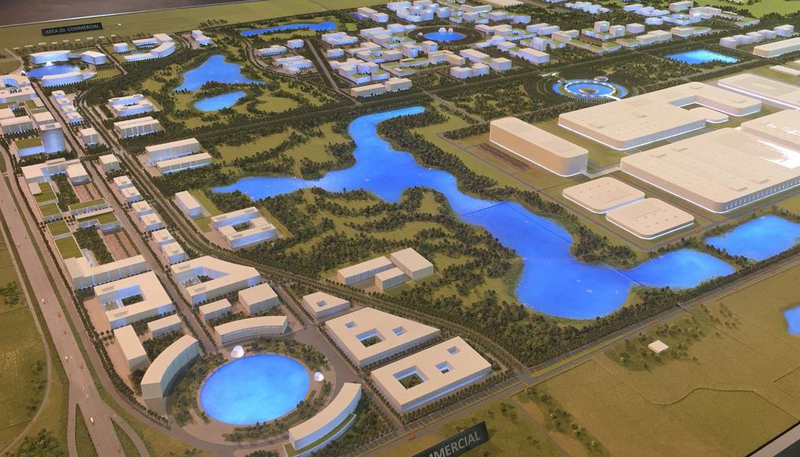 R&D facility in Brookfield - a project expected to create 350 new jobs.. 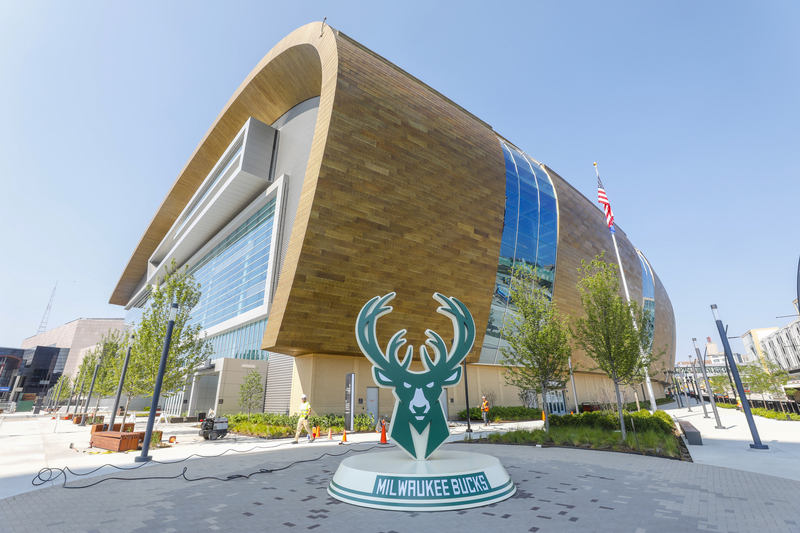 The $525 million Milwaukee Bucks professional basketball arena opened for the 2018-19 NBA season and is expected to spur an additional $500 million in entertainment, residential and office development. 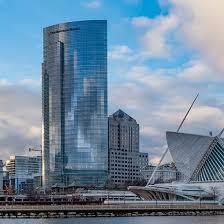 A new $450 million, 32-story lakefront office tower for Northwestern Mutual Insurance Company opened in 2018. The $1.7 billion Zoo Interchange project in Milwaukee reconstructed the busiest freeway interchange in the state of Wisconsin. The first leg of a streetcar system connects Milwaukee’s office, entertainment and transportation hubs. Large and small companies benefit from the many business resources in the area, including the Milwaukee 7 Economic Development Partnership, Metropolitan Milwaukee Association of Commerce, universities and technical colleges, and organizations targeting specific economic clusters. For example, Milwaukee has one of the nation’s highest concentrations of business accelerators, which include BizStarts, MiKE, gener8tor and Scale Up Milwaukee. The region also is home to networking alliances focused on strengthening and expanding the economic infrastructure for industries that already have a significant presence in the area. Perfectly situated in the Upper Midwest, the Milwaukee Region is just 90 minutes north of Chicago and less than a day's drive from the Twin Cities, St. Louis or Indianapolis. General Mitchell International Airport provides direct or non-stop flights to nearly 40 different destinations, our rail lines offer easy and economical access to markets throughout the nation, and the Port of Milwaukee connects the region with shipping markets round the world. One of the primary drivers of the new investment in southeastern Wisconsin is the improved business climate, which is attracting the attention of businesses and site locators nationwide. Several legislative changes, including tax reductions, right-to-work policies and a more flexible regulatory structure have made Wisconsin an increasingly attractive place to locate a business. The region’s reputation as an advanced manufacturing center; its proximity to the largest concentration of fresh water in the world; its access to air, rail and water transportation; and a skilled labor force known for its work ethic have made the region a competitive place to do business. The Milwaukee Region offers a variety of financing options in addition to traditional business loans. State, county and local governments all offer aggressive packages for start-ups, expansions and relocations, while local angel investors and venture capital firms stand ready to help entrepreneurs realize their dreams. Training and technical assistance is also readily accessible. Hard-working residents and Midwestern frugality help to ensure productivity and profitability. Land and leasing costs are lower than the national average, and the region's cost of doing business is the fourth lowest among the top 25 metropolitan areas. Not surprisingly, our low costs and skilled workforce have made the Milwaukee Region one of the hottest industrial markets in the nation. The Milwaukee 7 Regional Economic Development Partnership markets the region to companies looking to expand operations or relocate – from across the state line to around the globe. M7 provides the tools and the project management to guide companies from their first visit through the opening of their new plant or office. We have successfully closed deals and attracted foreign direct investment from companies in China, India, Great Britain, Spain, Italy and Germany. Learn more about the Milwaukee Region in the Navigate Business MKE Resource Guide.